In Part 1 of this series, we shared an inspired definition of luxury, "Supplement of the Soul". This prompted us to do some soul searching for this article series and define a universal principle that, if applied objectively, can give you a tremendous competitive edge as a luxury real estate marketing professional. Here it is: If you really understand what feeds the soul of your clients you can better help them get what they want. And, they in turn will help you get what you want—more referrals! But, here is the catch. You must suspend your own judgments about what feeds their soul. And, that does take some soul searching on your part. If you secretly harbor judgments about your clients, sooner or later, they will feel it and that will definitely inhibit referrals. Being non-judgmental about what feeds their soul accelerates the speed of trust, which IS the accelerator of referrals. Once you get your own judgments out of the way you will find that you can work with a greater variety luxury real estate clients. And, that means more business. 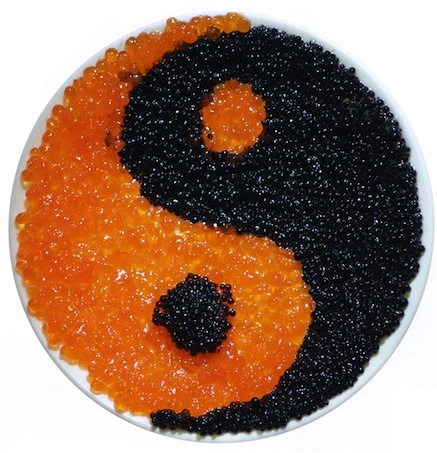 There are two universal mindsets of luxury consumers. This does not mean that your clients are totally in one mindset or the other. It means that one is their dominant mindset. 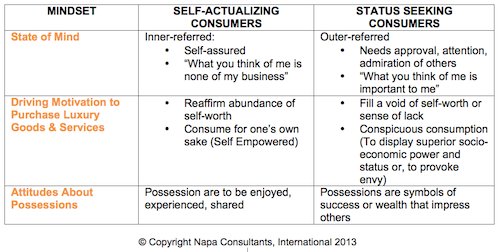 Luxury consumers are either predominately “self-actualizing consumers” or they are predominately “status seeking consumers”. The key is to accept that one mindset is not better than the other, no matter how you were raised or what you personally believe is right for you. Stay objective and non-judgmental. Watch for the clues your clients give you about their dominant mindset. Then go about helping them get what they want, what feeds their soul. Watch for Part 3 of Soul Supplement!